Roads - We have a wealth of experience and extensive knowledge in undertaking contracts of this nature. From forming new site entrances to dealing with complicated ‘278’ works requiring extensive traffic management B Gallagher have the necessary NRSWA qualified people to ensure the scheme runs smoothly and will see the project through to final surfacing and white lining ensuring the works are built to an adoptable section 38 standard. Sewers - Adept in all forms of drainage including working with consultants to deliver large volume attenuation schemes ranging from large diameter plastic pipework arrangements to precast concrete tanks to deep tunnelled sewers. 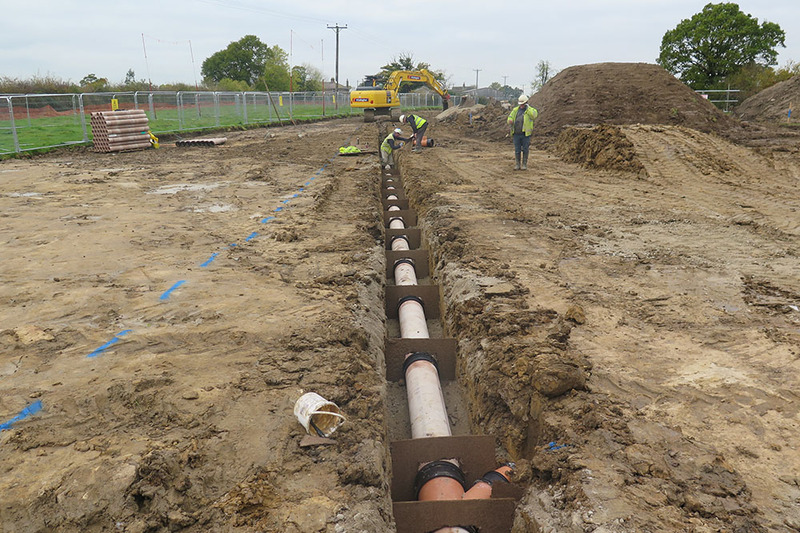 We have undertaken numerous live sewer connection works and successfully completed many section 158 diversion schemes. We have the expertise to undertake a variety of schemes get them onto maintenance, and see them right through to section 104 adoption.